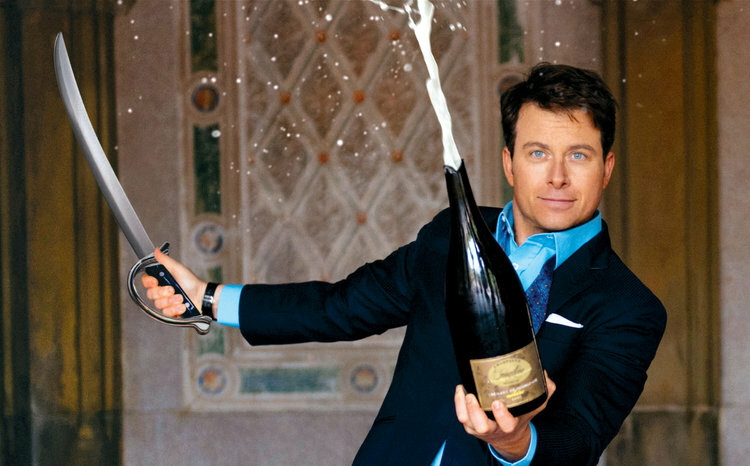 Springing from the success of his sold-out events at the Aspen Food & Wine Classic, renowned wine personality and author Mark Oldman will reveal how to drink like a billionaire without spending like one. Guests will be taken through a tasting of six superb wines as Mark imparts his tips and trips from his new book—including how to hone in on the best value wines and the secret maneuvers to master wine in restaurants, shops, and at home. Open roaming time: Talk to Mark, drink wine, meet Gary Lichtenstein, and get a sneak peek at new projects currently being produced in the studio! Mark Oldman is one of the country’s leading wine personalities—and, that rarity, a wine expert who is on the side of anyone who wants to enjoy wine more. Bon Appétit described his charismatic style as “winespeak without the geek.” Twice the winner of the Georges Duboeuf Best Wine Book of the Year Award, his books—Oldman’s Guide to Outsmarting Wine and Oldman’s Brave New World of Wine—have been called the “perfect book” by the Wall Street Journal and the “perfect primer” by The New Yorker. He has been the wine expert for Pottery Barn, lead judge in the PBS television series “The Winemakers,” and the wine correspondent for the Food Network. Oldman also founded and ran the career portal Vault.com for a decade until its successful sale to a private equity firm. For more information, visit www.MarkOldman.com.